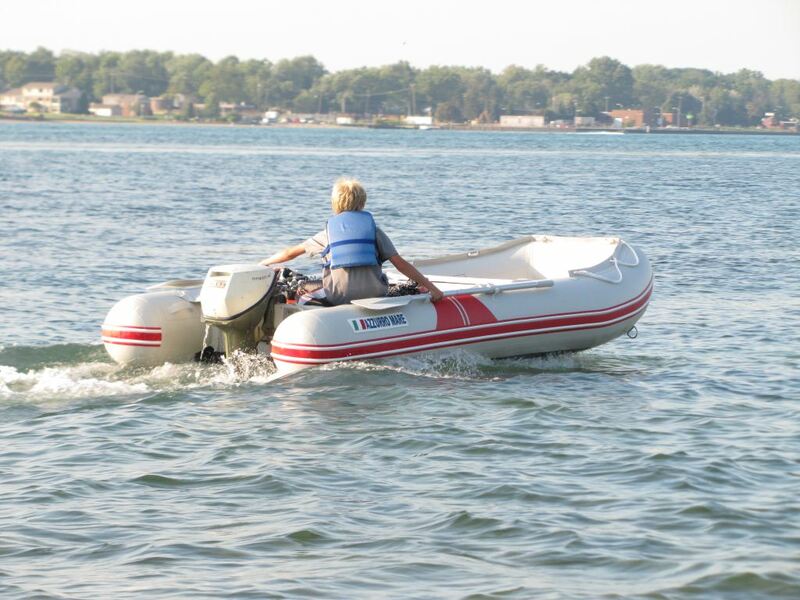 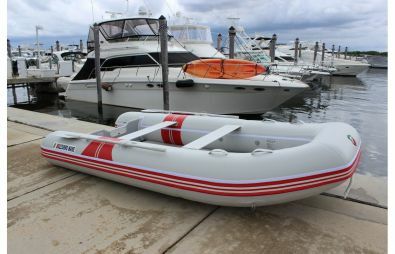 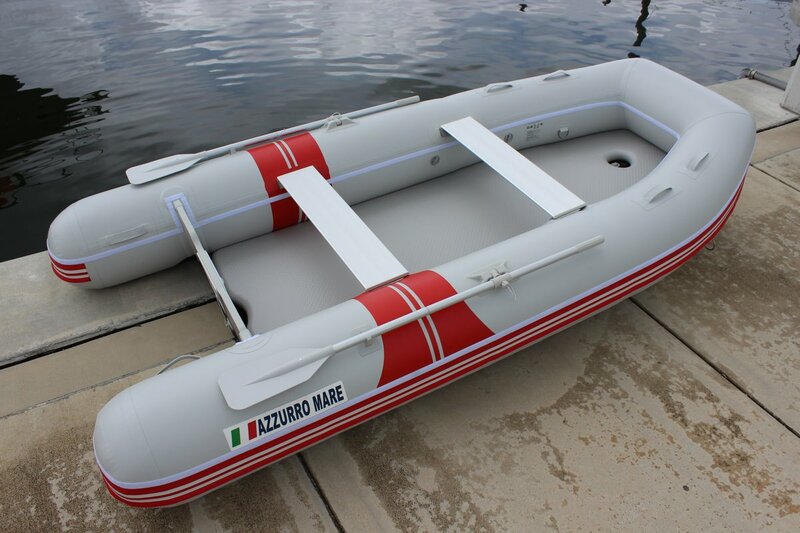 12' Premium Inflatable Boats AM365. 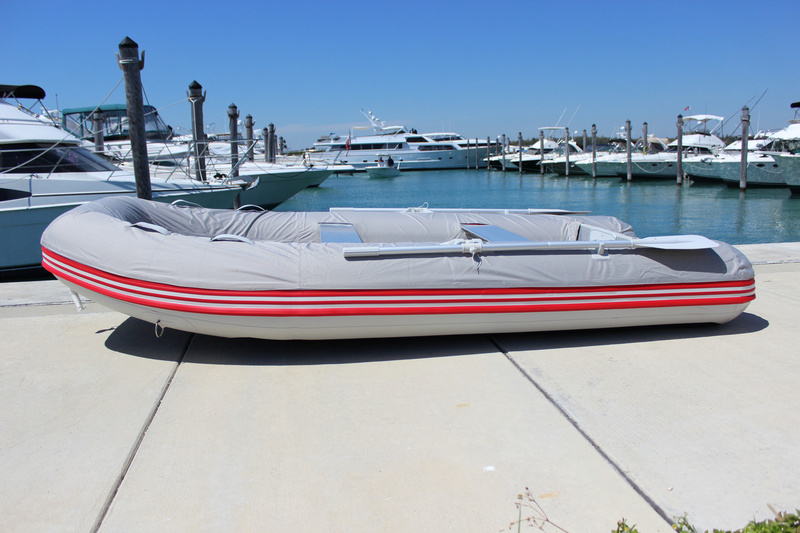 5 Years Warranty & FREE Tube Cover! 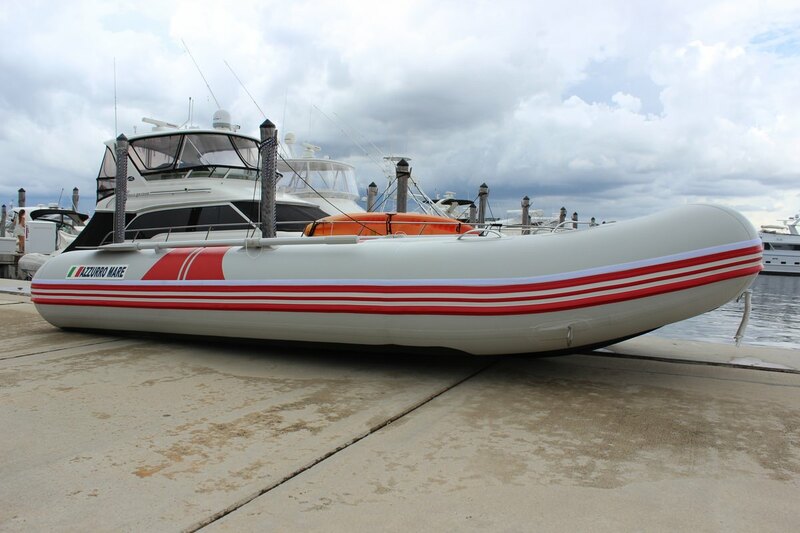 Overall, AM365 boat looks very similar to AM330, but it is longer and wider than 11ft AM330 models. 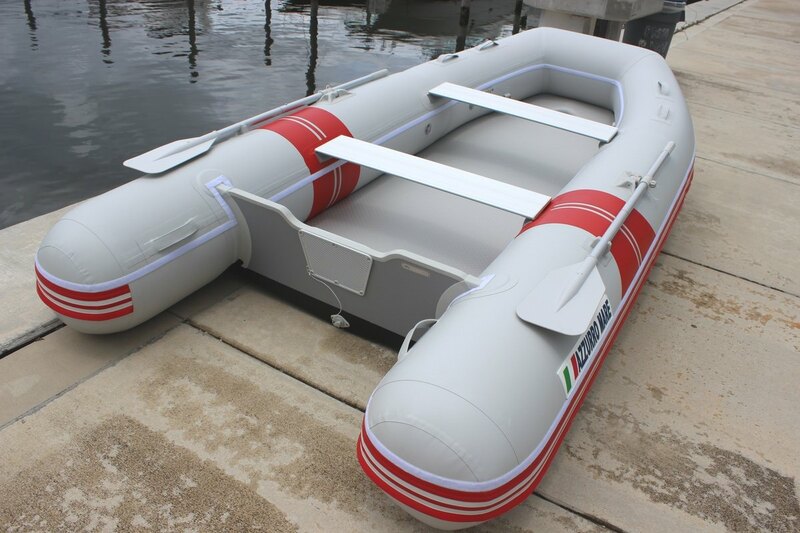 It also has larger diameter tubes with higher buoyancy, weight and passengers capacity, and therefore it can take more powerful outboard motor, up to 30 HP! New version of Azzurro Mare AM365 comes with FREE boat tubes cover to protect boat from damaging UV rays and to extend boat overall lifespan. 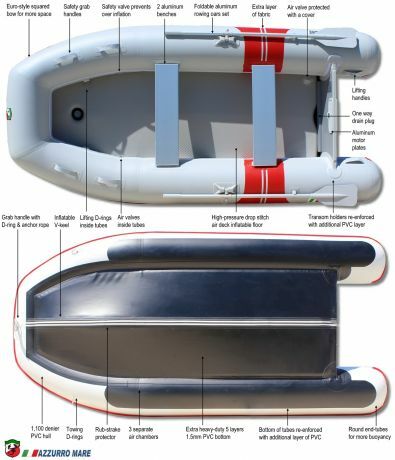 That is over $600 in value added package. 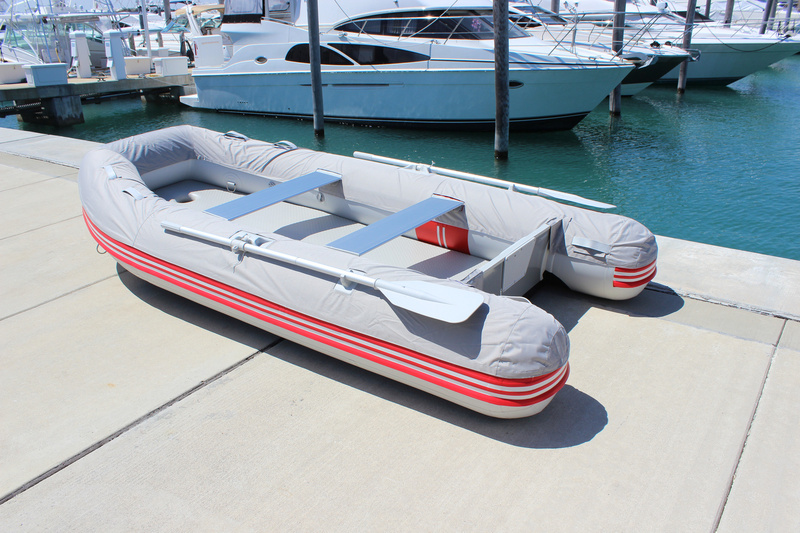 AM365 inflatable premium boats can be used as a luxury tender for a mainship, or as a fishing boat or as deluxe leisure boat on a weekends. Azzurro Mare AM365 boat is a large boat, but is still relatively lightweight, and can be easily carried by one person with a hand cart or boat dolly. 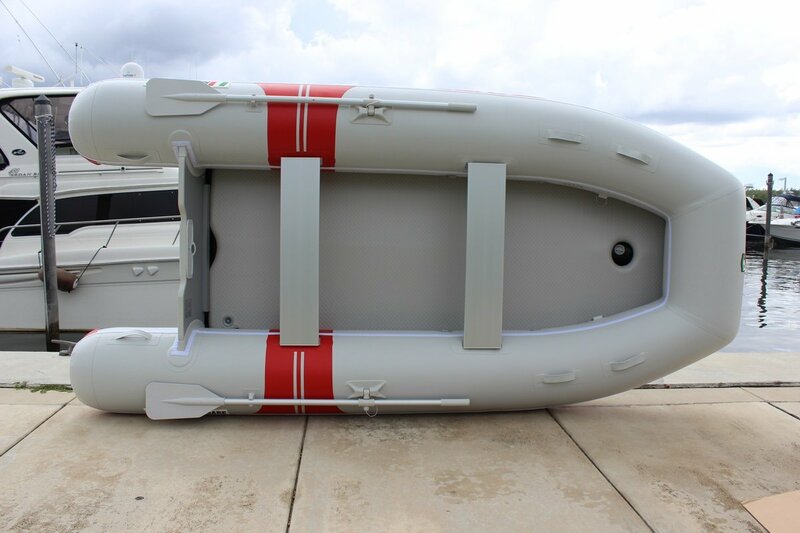 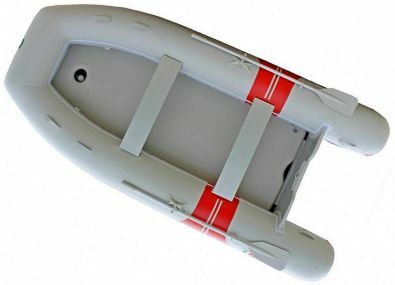 Once deflated and folded, inflatable boat can be easily stored in the trunk of your car. These boats are European CE-certified, also certified by German LLoyd. 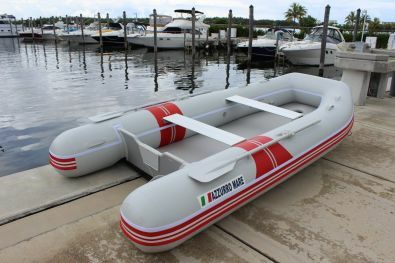 Come with all paperwork for registration in the US.